Hello to all my Resale Divas! Even my head is spinning from following me on my retail adventure! Thank goodness for GPS so you can all find me no matter where I roam. For the last year or so, I have been doing business at Compass Rose Resale with my partner in crime, er, retail, the fabulous E.
We feature so many of the same Cape Cod chic furniture and home goods that you know and love from CottageChic Resale AND more! We have funk-a-licious clothing. And boots. Did I mention the boots? And shoes? 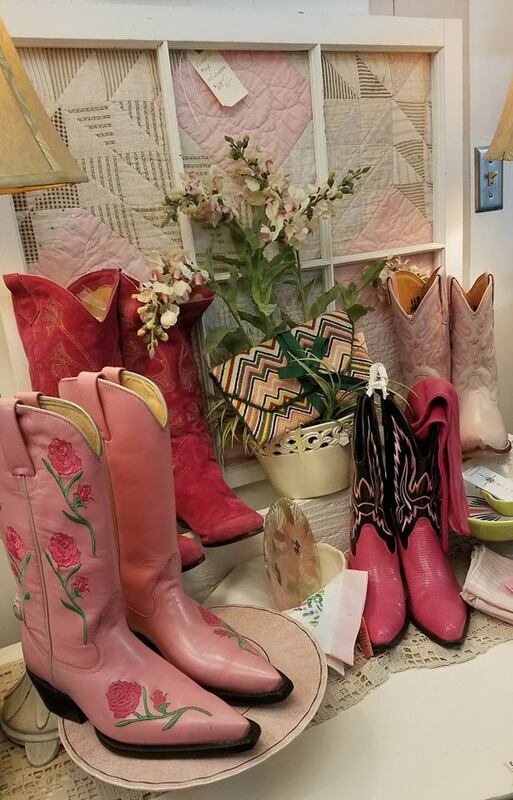 We got your fab kicks here for all occasions – stilettos, dancin’ shoes, walking shoes, and I-just-gotta-have-’em shoes. Where else, I ask, can you get a Mad Men-inspired cocktail shaker, a new desk AND painted pink boots? Follow me on Facebook for updates. I LOVE running flash sales and markdowns and these are announced on Facebook. 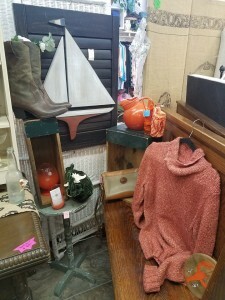 So for all my local (and local-in-your-heart) customers, come on down to Compass Rose Resale at 253 Main St and get your groove on – and find something truly unique for your home or for yourself. We are across the street from the train station and next to Percy’s for those of you who like landmarks. This entry was posted in Announcements on January 16, 2018 by Patricia Browne. We are in the west end near the train station, next to Percy's. Best way to contact me is via Facebook or send an email.